October is my favourite month of the year. Cooler weather, leaves changing colour, cozy sweaters and blankets, apple- and pumpkin-flavoured everything, Halloween! There's just so much to love about this month. Something else to get excited about: ARCtober! ARCtober is hosted by Kimberly at KimberlyFaye Reads, Brittany & Elizabeth's Book Boutique, Samantha at The Book Disciple, and Nancy at Tales of the Ravenous Reader. The goal is to read as many ARCs as you can from October 1st - 31st. I have other ARCs, so I'm sure I'll expand my list, but this seems reasonable to start. 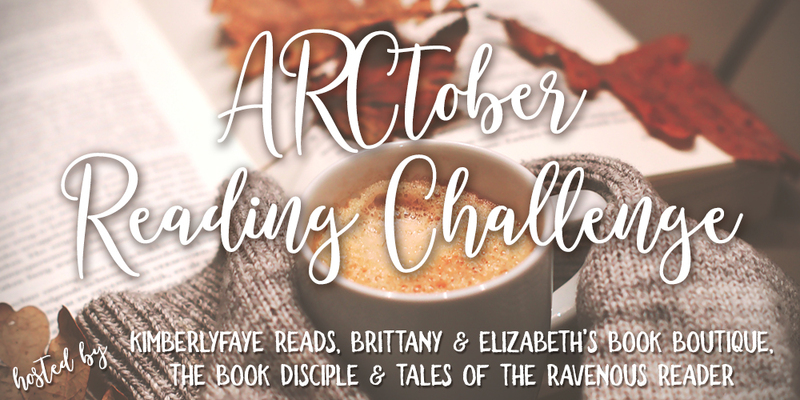 If you want to see what I'm reading and how I'm doing with the challenge, the best way will be to follow on me on bookstagram because I'll be posting there and using the hashtag #ARCtober2018. If you happen to like contemporary romance and want to add to your list of ARCs for the month, I'll have ARCs of ONLY YOU ready in another week or so! You can find the synopsis and read the first chapter here. I love October too! Such a great month! Have fun with your challenge. It really is a great month...now I just need the weather to cooperate because it's been pouring the last two days.